There are few things more troubling than a book ban. Yet conservative activists keep trying to ban Howard Zinn’s People’s History of the United States. The latest effort takes place in Arkansas. To us, this raises a tricky question: Is Zinn the Darwin of the history world? Of course, that’s not the only question that might keep us up at night. We might ask why this particular book is so offensive to conservatives. We might even ask how banning books and ideas unites the left and the right these days. Maybe we’ll get to those questions some fine day. Today, though, we want to ask about the Zinn/evolution connection. Who’s afraid of the big bad Zinn? First, some catch up: If you don’t know Howard Zinn, you might get a tax break for your energy-saving under-a-rock lifestyle. His People’s History has long been touted as a welcome correction to the flag-waving, Bible-thumping, chest-beating stories that so often get taught in US History classes. In Zinn’s history, European explorers aren’t heroes, but exploiters and rapists. In Zinn’s telling, “Manifest Destiny” was nothing but a shill for robbery and genocide. In a word, Zinn offered a leftist counter-history to the standard textbook tale. And opposition to Zinn has been ferocious. A few years back, Indiana Governor Mitch Daniels tried to ban the book from Indiana. And now, Representative Kim Hendren has introduced a bill in Arkansas to ban everything written by Zinn since 1959. 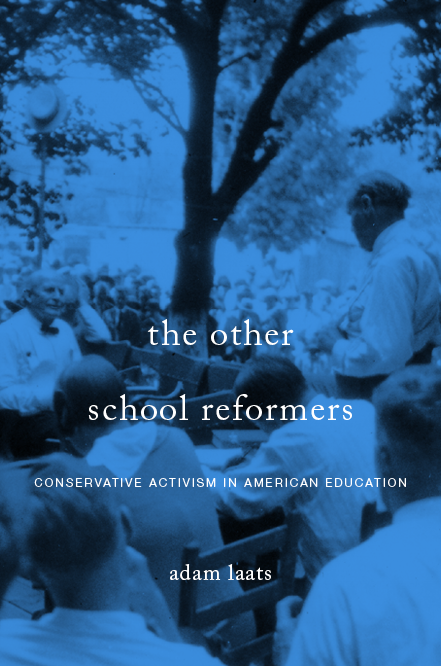 As I argued in my book The Other School Reformers, conservative educational activists have always been a fractious bunch. On one thing, though, they agreed without even having to talk about it: Schools must be “safe spaces” for students. They must not introduce ideas that shake students’ religious faith, patriotic pride, or traditional notions of family. The most obvious intellectual threat to the conservative vision of proper education has been evolution. Since the 1920s, conservatives worked hard—often with great success—to have evolutionary theory banned or watered down in American public schools. But history books have often come under fire, too. Long before Zinn freaked out the squares with his People’s History, Harold Rugg’s textbooks were purged from millions of American schools. Rugg’s books were yanked from shelves, and one hapless school board member in my sunny hometown of Binghamton, New York suggested they should be piled up and burned. Like Darwin’s theory of natural selection, or its neo-Darwinian progeny, many conservatives see Zinn’s historical ideas as a terrible threat to their children’s well-being. They might well want their children to consider a broad range of diverse ideas, but Zinn’s telling of US history, like Darwin’s telling of the origins of humanity, seems to veer far out of bounds of acceptable thinking. Like evolutionary theory, Zinn’s history sparks an immediate fear among conservatives. Some activists worry that mere exposure to such ideas will harm their children. For reasons like these, it seems fair to conclude that Zinn does indeed serve as a sort of Darwin of the historical world. Zinn’s vision of US history seems to match Darwin’s vision of speciation, in the perceived intellectual threat it poses to the helpless children of conservative America. But we can’t stop there. There are also important differences between Zinn and Darwin. When it comes to evolutionary theory, academic biologists agree: the modern evolutionary synthesis is our best current understanding of speciation. Banning evolution, or even watering it down by suggesting that it is only one idea out of many equals, means giving schoolkids worse science. Fans of Zinn’s People’s History can’t say the same thing. True, the American Historical Association condemned Governor Daniels’ ban. But historians as a whole don’t love Zinn’s book. Sam Wineburg, for example, has famously pointed out the problems with Zinn’s work. Michael Kazin, too, agreed that Zinn’s book was “stronger on polemical passion than historical insight.” Neither Kazin nor Wineburg liked Indiana’s attempted ban, but neither of them loved Zinn’s book, either. So as Arkansas gears up to debate (again) the notion of banning leftist history, we can agree that banning Zinn is a bad idea. Straight-up dumb. But we don’t want to fall into the obvious trap. Zinn is no Darwin. Banning evolution means banning science. Banning Zinn doesn’t necessarily mean eliminating good history. Let’s say it again: Banning Zinn is a terrible idea. It is good for students to consider different ideas about history. His book, though, should be understood for what it is: a political book about history, not a history book about politics. Are You a Big Fat Idiot? Unlike Darwin, Zinn separates the neoliberals from the leftists, and there are plenty of liberals happy to take the conservative “that’s not nice!” nationalist view of him. I think this is what disturbs some people about Zinn’s book as well: Not the idea of allowing his ideas to be disseminated per se, but the idea of schools treating his book as “one history out of many equal possible histories” from which children may choose which to believe according to their tastes.